As of now, there are rumors flying around that the film World of Warcraft has been delayed to get around competition, but we do know that it has been confirmed for a summer release date this year. From Ecumenical News, the movie was supposed to be launched in December. But, they wanted to prevent the competition with the highly rated film, Star Wars: The Force Awakens, so the movie was moved to March. However, is has been moved again because of the competition with DC’s Batman v Superman: Dawn of Justice, which is to be released in March of 2016. So now, they have moved the release date to June 10th, 2016. Talking about the storyline, the film director, Duncan Jones, has revealed that the plot could explore the start of World of Warcraft, when he shared this information during a conversation with Blizzard. He went on to explain, "From the moment I first talked to Blizzard, the plan was to start our film with the first time Orcs met Humans. First contact! I think that for a world with so much newness to explain, this was a wise choice, especially when so many people in our audience may not know anything about Warcraft... It was important that some of our characters would be seeing the world fresh as well, and that the audience could see the situation through their eyes." However, he would not share anymore details about whether or not that fans will be seeing new characters that have not been seen in the Warcraft games. He also didn’t say much about the information regarding if the movie will be mainly focused on the contact of humans with the Orcs. He started to tease that all of this information will be best known once fans watch the film. In other news, during the recently held Consumer Electronics Show 2016 that took place last week, Blizzard decided to introduce some World of Warcraft items like a battery bank that looks like a door hammer and statues. The fans of the game were thrilled about seeing the great promotional items that will most likely build more hype for the movie. 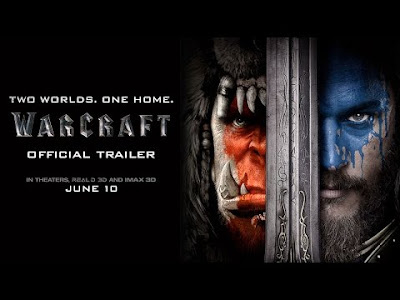 As of now, World of Warcraft is to be released on June 10, 2016.